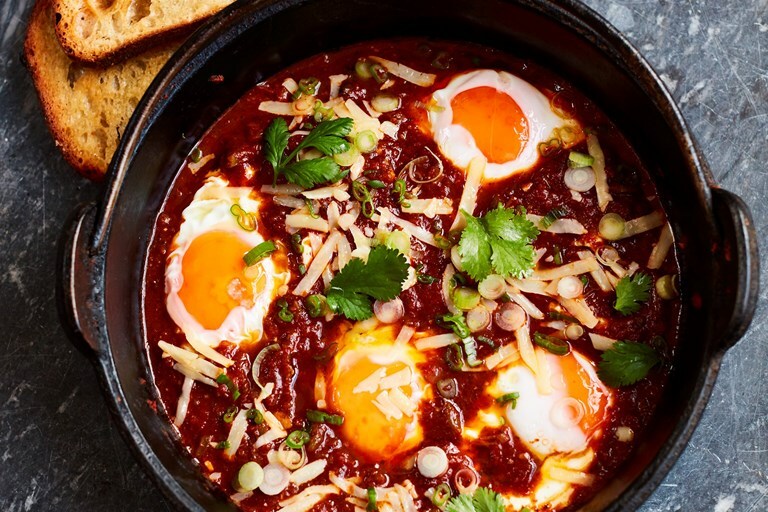 This glorious Peruvian baked eggs recipe from Martin Morales is richly flavoured with two types of chilli paste made from Peruvian chillies, providing unparalleled flavour. You can prepare and store the chilli pastes ahead of time to make weekend brunching particularly hassle-free, if desired. This recipe is taken from Andina: The Heart of Peruvian Food by Martin Morales, published by Quadrille. Photography by David Loftus. If you want a dish to really wake you up and give you oomph for the day ahead, this recipe does the trick. It’s a firm brunch favourite at Andina, with people coming from far and wide to try it.